I have been really trying so hard to blog and play catch up. I know in just a few short weeks I will FINALLY be able to "share" the AMAZING news with you. I have been working so hard to follow my dreams and passion. I have been so inspired and passionate about what is on the near horizon that literally I can't sleep. I am seeing the results of the hard work, the very long hours and the RESULTS from following my heart in this journey. Okay... I hate to not share. I hope you will understand that I simply can't at this point. However, just know that I do firmly believe that hard work and being SO IN LOVE with what your message is will truly help guide you in your own path. So I need to share quite a few things. I am headed to Georgia this weekend for the EMI Scrapbook Event with me in Cummings, Georgia. The classes are all SOLD OUT, but Susan has the BIGGEST and BRAND new TC products. The store cannot hold all the students so Susan has rented out the conference room at a local hotel. We have girls flying from all over the country and internationally to come to the event. PS- best inspiration shopping and the antiques stores around Atlanta are on my agenda. After the weekend of workshops, I will be flying to Tampa Florida. Yes, it is the BIGGEST CRAFT day on HSN (Home Shopping Network). It is a 24 hour day of crafting goodness. I will be on during the following three hour segments. Often, they will add shows so I know this can be changed and they add more shows. I don't know right now when and what I will be sharing during that time. I do know that I will be on with the TC eBosser machine and I will debut TWO brand new 8.5 x 12" h embossing folders. 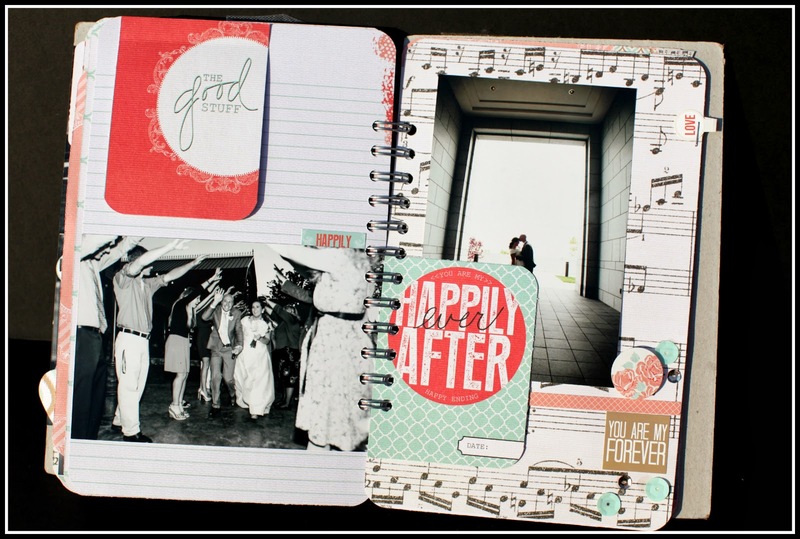 I am also debuting the WORLD WIDE launch of my NEW TC- We R Memory Keepers Albums MADE EASY Albums and Card Sets. The rumors are true... they are sold out everywhere and we are waiting for the next shipment. So that means, if you are fast- you can order them on Monday. I will be on again with my TC Xyron products and my TCD products. Yes, I think I will be at HSN all day on Monday. I'm not complaining one bit. I love this part. I love the connections. I love showing my passion. I hope you will tune in. Now... I wanted to share the projects that I will be TEACHING next month at Creative Cards and Crafts in Villa Park IL on APRIL 25th and 26th. Claudia wanted a mixed media class with my new modeling paste and stencils. (please pick your number when you call and sign up!). This VERY hands on class is all about technique and playing nonstop with the various mediums. 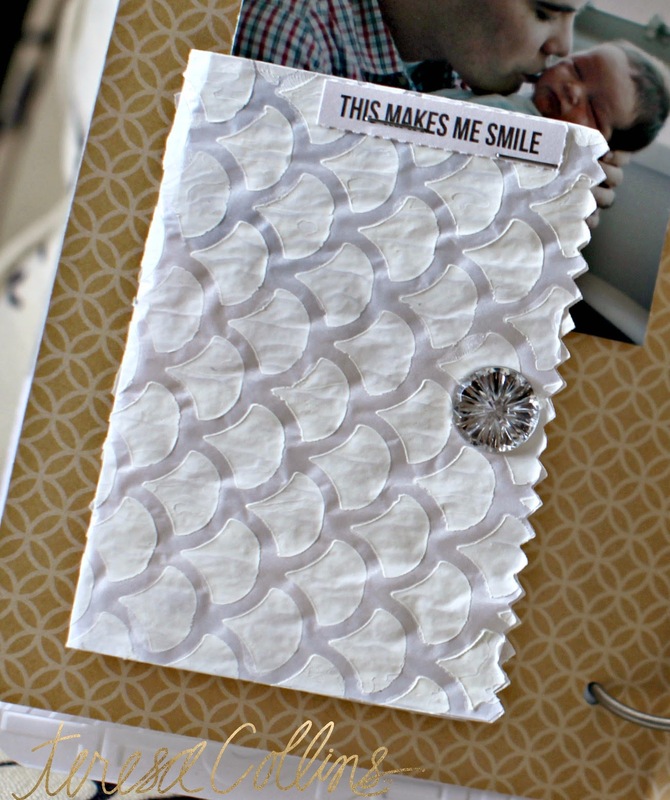 This project is NON THEMED and uses my new set of tags, envelopes and bags. (love the manila tags and envelopes and bags from glassine). SNEEK PEAK alert... we are using my BRAND NEW embossing folders in the workshop along with my TC eBosser machine. Yes, this TC WORD COLLAGE is my FAVE!!!!!! These will be on HSN on Monday as a debut. Are you ready to play and create????? Modeling paste is one of the hottest trends and mediums to work with right now. Join Teresa for this mixed media book project workshop and learn the tips and tricks on how to incorporate her new paste and stencils into your crafting projects. Learn how to create in various styles with this technique focused class that will inspire you to pull out the paste and play along. It is all about texture and dimension. One of the best ways to get a textural surface is by using paste. 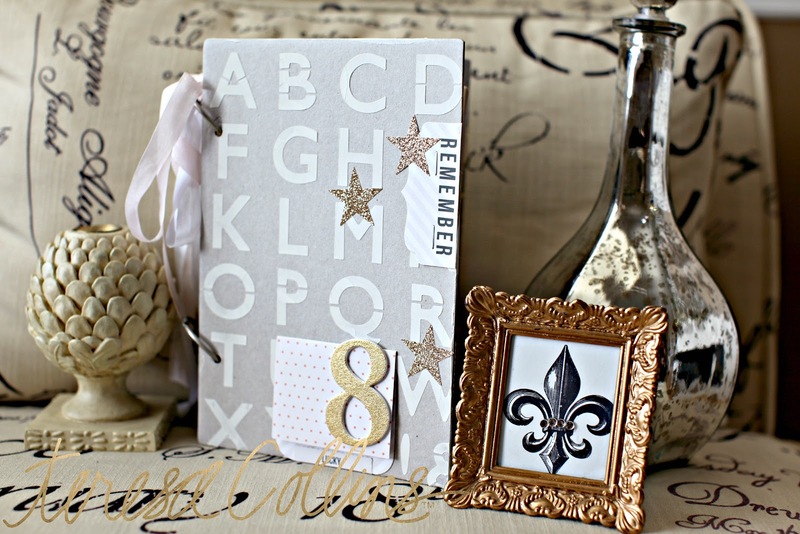 You can add glitter or acrylic paint to further customize your project. 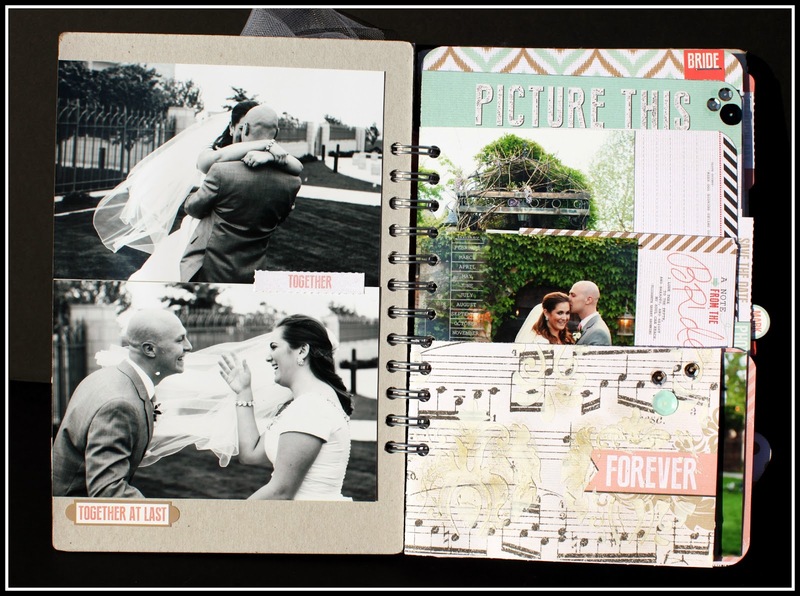 The possibilites are endless as you create a album with flips, flaps and beautiful glittered paste and stencils. 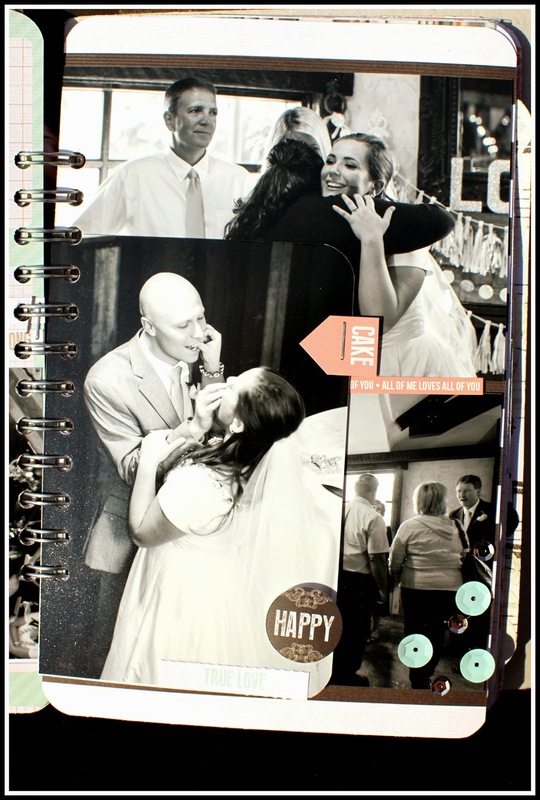 In this very hands on workshop, be prepared to glitter, ink, and create your own customized book that you will love. I will be TEACHING all three of the projects in ONE workshop at the store as well. 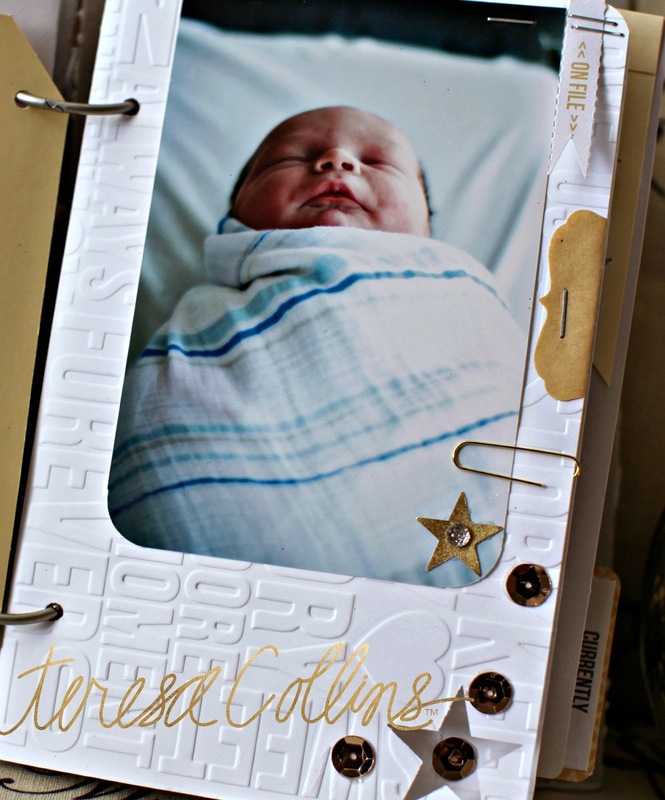 This workshop is featuring the new Teresa Collins flip books. This is all about displaying and having interactive elements in this darling book. You will flip for it! 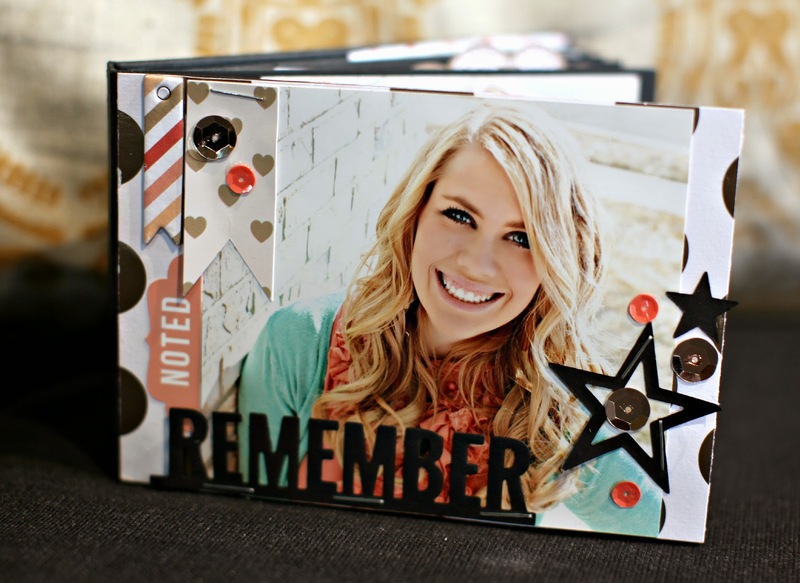 In this workshop you will be creating a darling flip book. The book will open and each page will flip up to reveal several pages inside. 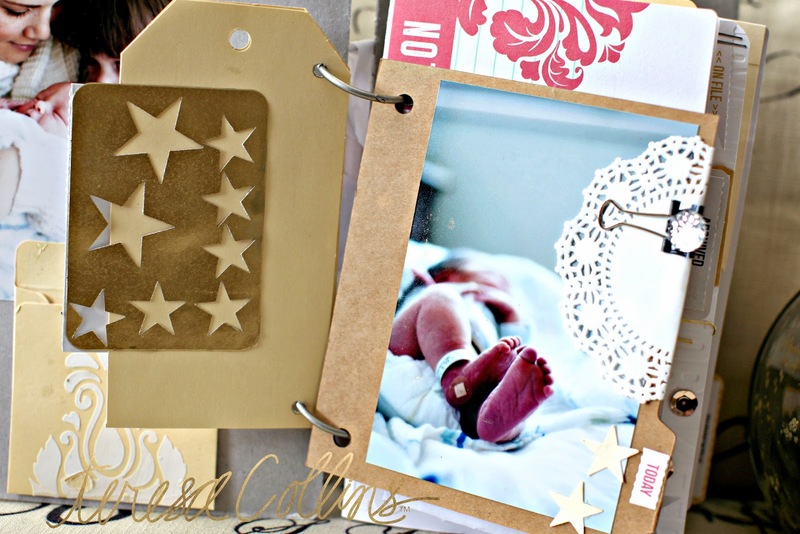 In class learn how to add embossing and die cuts to your project with the Teresa Collins eBosser machine. 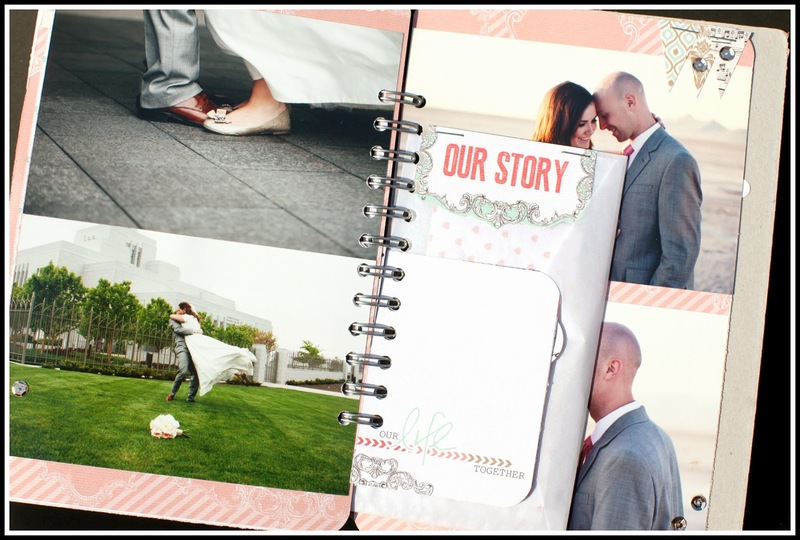 Bring your favorite photos to add to the flip book. Also, you will make your own polaroid instagram banner. The kit will be filled with photos and quotes as desired. You will get all the supplies to create and personalize your banner. Please bring 8 photos to fit within the chipboard frames. They can be 4x4 or 4x6 photos that are cute down to fit in the 4x4 window opening. 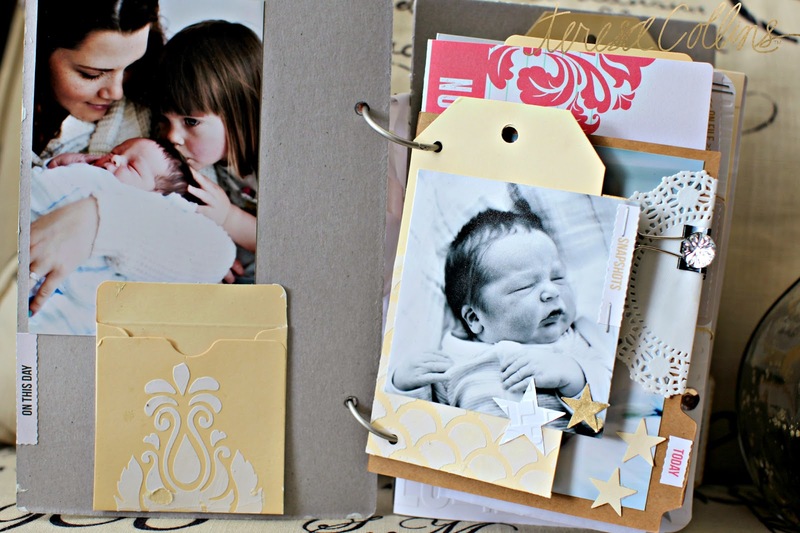 Suggestion: bring a variety of photos in both 4x6 and wallet sized photos for the flip book. 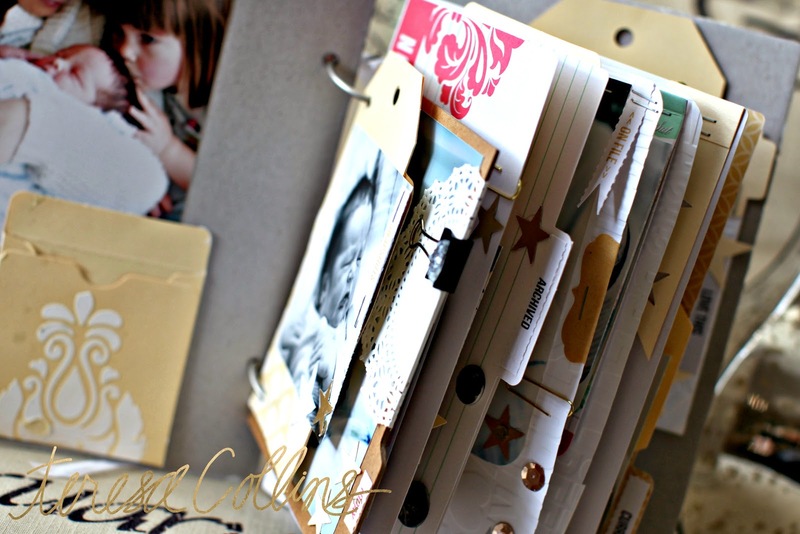 Then create a book from a black office file folder. 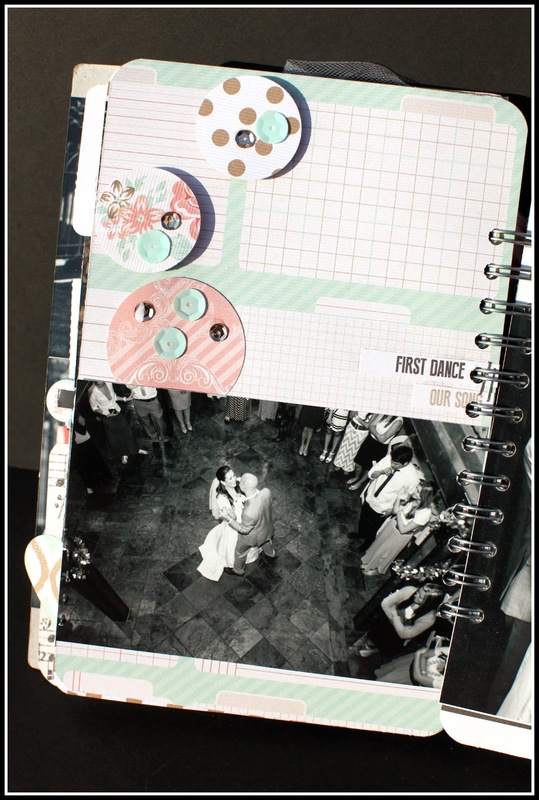 This is a great way to document the daily memories. In this class you will be given "lots of extra" supplies to pay with and add to your flip book and banner project as desired. Join Teresa Collins for a workshop of pure inspiration that tells a LOVE story. 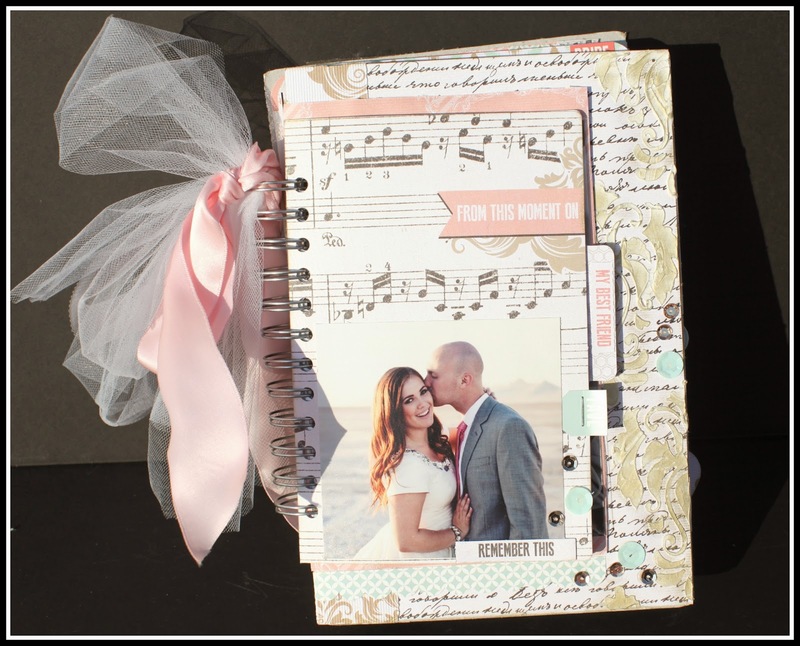 You will create your own 6.5 x 9.5 - 52 page chipboard album that is focused on LOVE. You can focus on a person, your family or just a things you love. Using my brand new collection, SAVE THE DATE textured wallpaper like paper, create a keepsake book that tells the love story that needs to be documented. This project is very personal in that it is about Teresa's relationship and love for her husband Tyler who is currently battling cancer. This book is the STORY OF US. Learn how to use the new TC eBosser embossing and die cut machine during the workshop. Create pockets, lift ups from your papers. Then add chipboard, envelopes and more. Learn how to use the TC adhesive brand of Xyron tools in your creating. This book will absolutely be the most treasured book focused on LOVE that will be treasured. 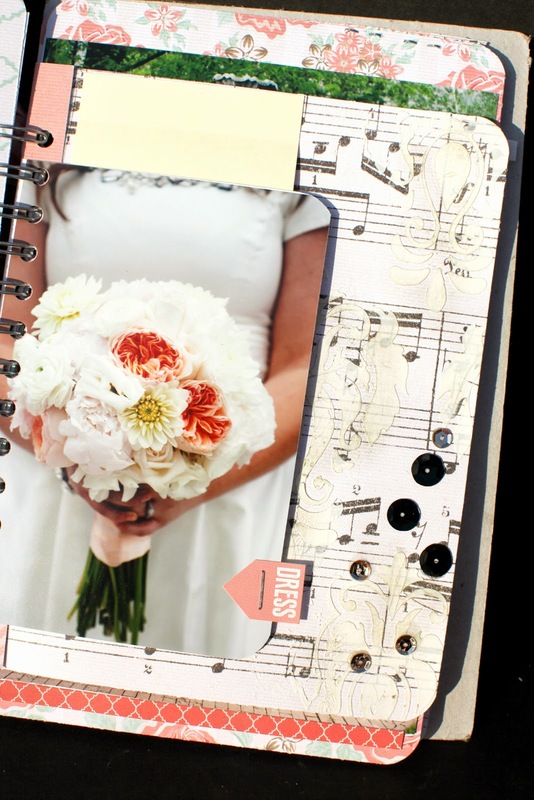 Learn to love your handwriting and journal from the heart with the twenty tags included in this BIG workshop. 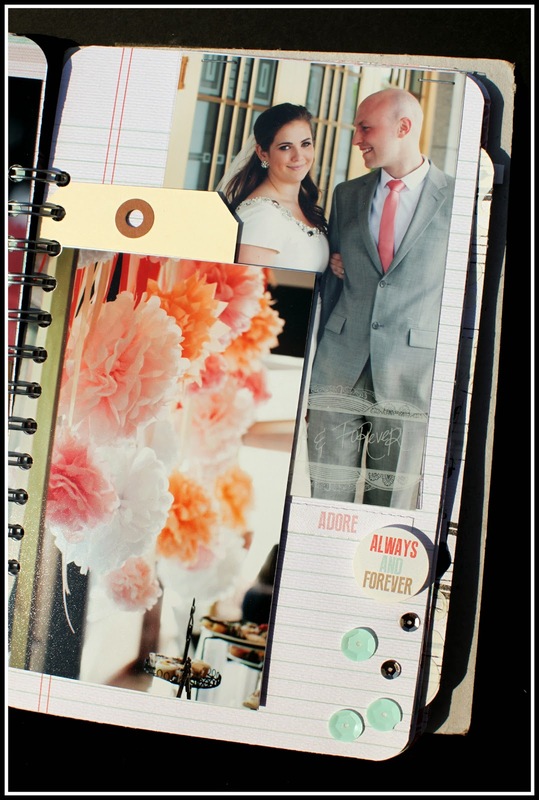 This collection was designed to help you document and tell your own love story. We will be using modeling paste in this workshop too. These are the three workshops I am teaching at Claudia's store. Last year, all the workshops sold out so call now if you want to join us. Sign ups start today. I know Claudia is planning some special things. I love her and her beautiful daughters dearly and I am so looking forward to this visit. I would love for you to join us. Okay... tomorrow please come back to see the workshops that I will be teaching in Germany. Did I mention that Ty made the high school tennis team? I am so proud of him. He went a little outside of this "normal" comfort zone and he loves it. Also, THIS WEEK is the 1/2 WAY mark of MCKAYS MISSION. You could say that I'm so proud of her. I miss her so much, but wow... so proud of her. She is set to released from her service on December 16th. Wow! So excited for the surprise I'm biting my nails as I I read this lol I can't wait! I do love the suspense :-) everything looks so beautiful the pics motivate me to create! Can't wait for Monday! Safe travels! Lots of things to look forward to. Wish I lived close to where you do workshops but will try & follow along with the pictures you post. Can hardly wait to see what you have on the 24th. bet it will be great. You are so cute...you are like Niagara Falls spilling over with excitement! ! I adore hearing of all the good stuff coming your way and I've already set my DVR. You know I'll be ordering more folders for the E Bosser...love that machine! I would have loved to do this class BUT I will see you at She Scrapbooks...still waiting on the details. Stay healthy and happy and keep being Teresa Collins, you are UNIQUE!! p.s. keep pouring on the gold glitter!